Provide an attractive yet functional barrier to vehicle access and parking areas. Vestil Removable Ornamental Steel Bollards are 4-1/2" in diameter while the rings make the overall diameter 6". Padlock not included. Powder coat black finish. Includes eyes for attaching chain or rope. 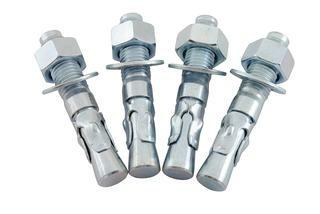 Model BOL-OR-40-BK locks into galvanized steel socket that is cemented into the ground. When the bollard is removed, a cover plate protects the hole leaving no protrusion above the surface. Model BOL-OR-40-BK-SM fits into steel socket that is bolted to ground (mounting hardware not included).